Finding the a car seat that is going to be for some very precious cargo, i.e. your child can be a daunting experience. Plus there is a lot of choice and options out there. It can be difficult to know where to start. There are brands that I’ve come to know and trust and Diono is one of these. They recently asked if we wanted to test out their Monterey2 car seat and it was perfect timing as my little lady is just about ready for the next stage of car seat. Meaning I needed a new one for Alice. I think the main concern we all have when it comes to car seats, is safety. 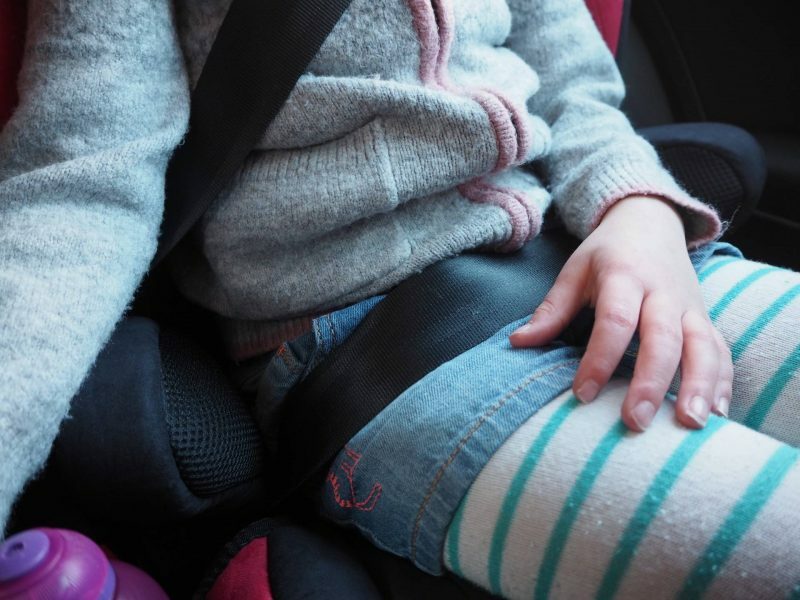 We want to know that if we were to be in an accident, the car seat is going to be up to the job of protecting our child (as much as they can!). When reading about the Monterey2, what I immediately liked was that it had metal reinforcements and the seat had increased side impact protection. The head rest has deep side wings which are fully lined with energy absorbing foam. Meaning it has more protection and comfort. It also grows with your child, with 11 positions and it’s easily adjustable. Of course the real test also comes when your child sits in it and we all know they always have an opinion. Thankfully Alice loved the look of it and the colours and immediately said how soft and comfortable it was. 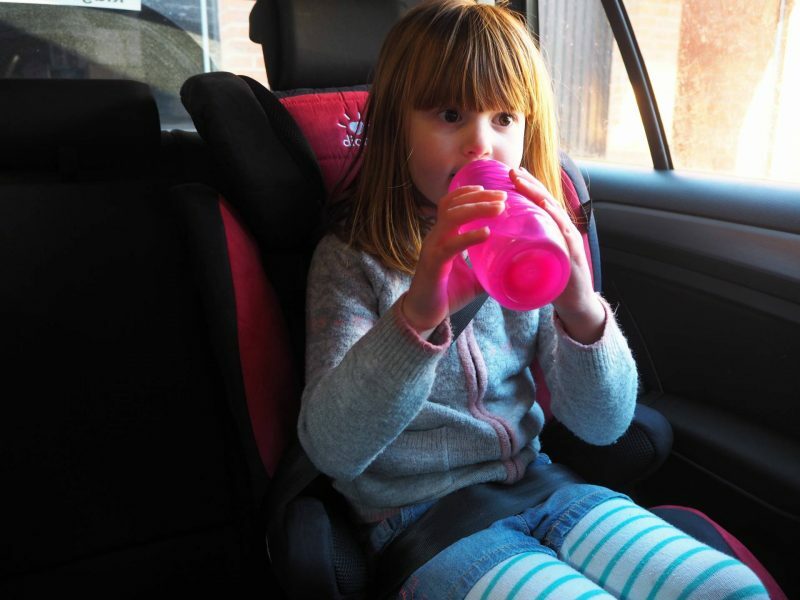 It comes with flexible isofix attachments, which means that you can attach it to the car. It was really easy to fix and if needed you can easily take it out of the car. A big hit was the drink’s holder, the only downside to this is I think I will be stopping for more toilet breaks now! They are great to have though as it means I’m not passing them drinks back and forth. The seat belt sat comfortably across Alice was easy to secure it. An added bonus is that you can fold the seat flat, making it easy to store and travel with it. The Monterey2 is priced at £130 and is available in a range of colours. Alice loves her new seat and I feel safe driving with her in it. 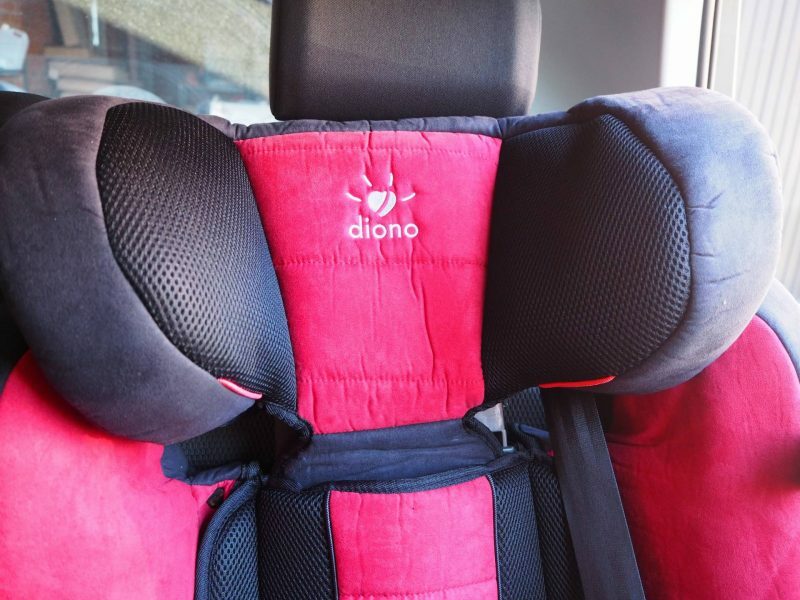 Disclosure: We were kindly sent our car seat from Diono in return for an honest review. All views and opinions are my own. Looks like a great car chair. I’m looking to get an extra with childminding, will consider this one. This looks like a lovely car seat but what I am loving the most is that you can fold the car seat down flat super handy! This is a great review, I like the safety features here. My brother just had a new girl, I would forward this to him. 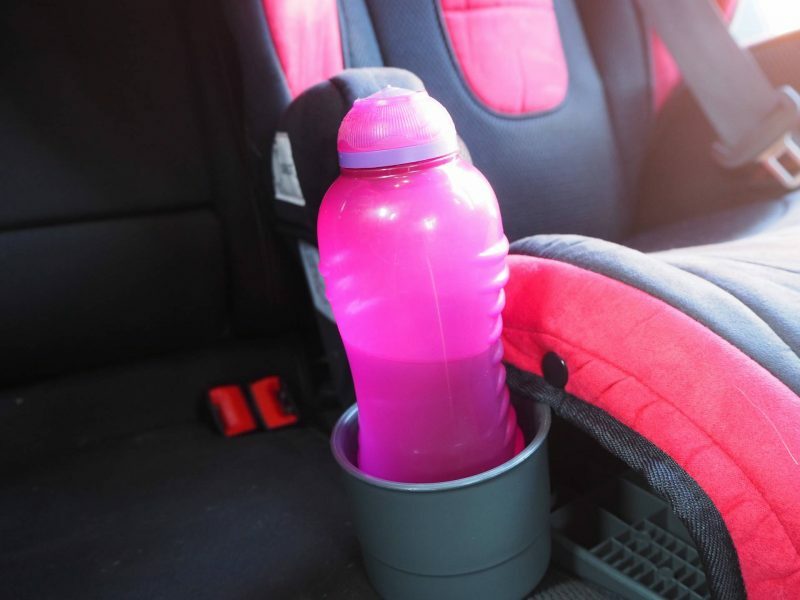 Sounds like a brilliant car seat I do love that it has a drinks holder that’s definitely a handy feature to have along with it foulding flat. What a great car seat! That drinks hold is awesome! You don’t have to worry about any spillages then in the back while driving!! This sounds like a great car seat! I always look for side impact reinforcement too. Love the little drinks holder, what a fab idea! What a beautiful car seat! I love that it folds away! We just got one and it’s so big and bulky! It makes such a difference if it does fold away! I love that it has a cup holder! Its great that it folds away too! I like the look of this car seat. Love the fact that it has a drink holder. That is so handy. 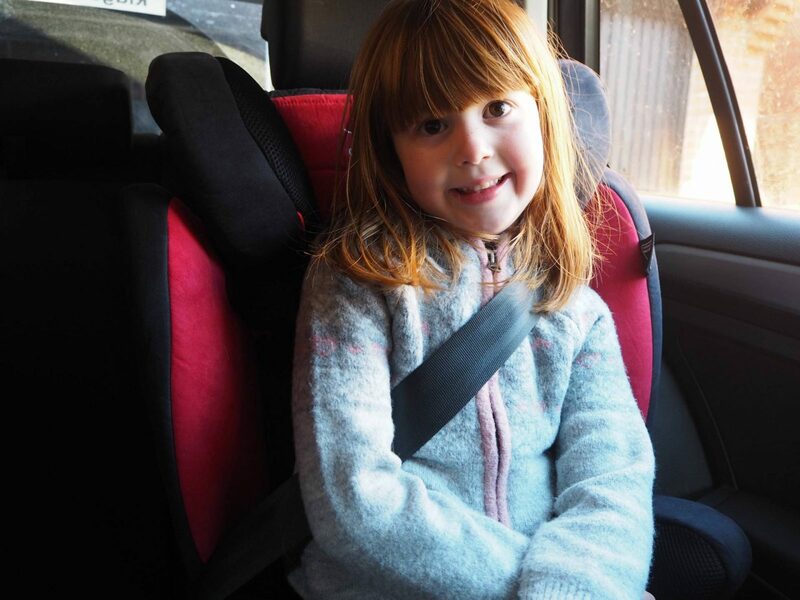 That does look like a really good car seat – perfect for her age. The drinks holder is an added bonus too.